Between October 2017 and March 2018, The Trust for Public Land, Blackfoot Challenge, and Civic Canopy worked with the community of Lincoln, Montana, to bring community leaders and residents together to set a solid foundation for collaboration. The partnership guided a process called Envision Lincoln that was designed to build on Lincoln’s existing efforts and accomplishments and invite all residents to participate and share their perspectives. Envision Lincoln developed an overarching vision to guide a collaborative effort that will help attract families to Lincoln and retain them, spur economic opportunities, and keep what makes Lincoln a special place to live. Lincoln is a community with a small-town atmosphere and unique natural environment that is working together to be a place that thrives economically and culturally and supports the well-being of its residents. Moving forward, Envision Lincoln will be implemented by the Envision Lincoln Core Team as well as the Economy, Natural Environment, and Health and Well-Being action teams. All three action teams recognized that trails can contribute towards a prosperous future for Lincoln and its residents. As such, the community identified developing an in-town trail plan as an implementation priority. 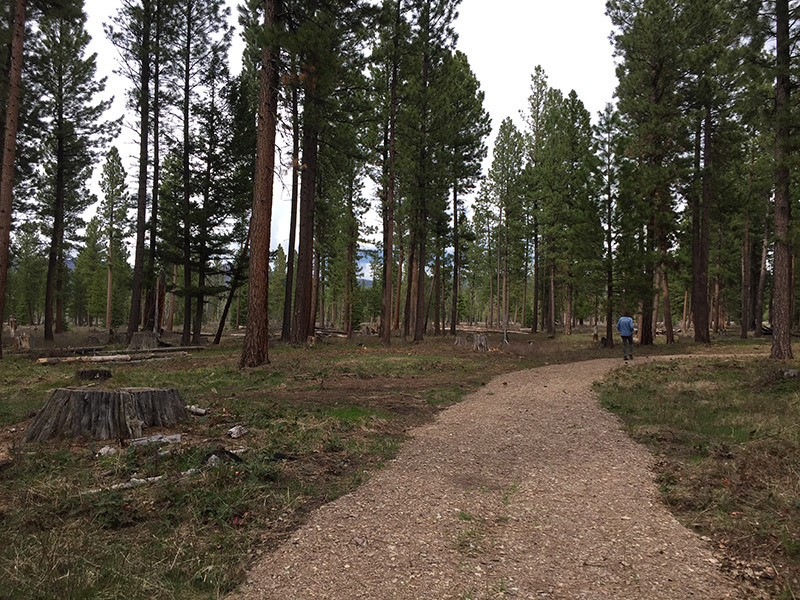 Between April and July, 2018 the Blackfoot Challenge and The Trust for Public Land worked with the local trails plan steering committee to solicit community input and convene workshops to develop an in-town trails plan. Based on input from the community survey and from the steering committee, the Trails Plan focuses primarily on human-powered trails and on-road bike and walk lanes. The Envision Lincoln Report and appendices as well as the Lincoln Trail Plan are available for download.